The dreaded ACL tear is one injury many skiers are familiar with. If you’re not suffered it yourself you probably know someone, or have heard of someone who has. Even after ACL reconstruction, some patients still find an element of instability in their knee, where there’s an element of ‘pivot shift’ or it just gives way. At University Hospitals Leuven, Dr Steven Claes and Professor Dr Johan Bellemans have been conducting research into ACL injuries and have identified the existence of an additional ligament in the anterior of the knee. 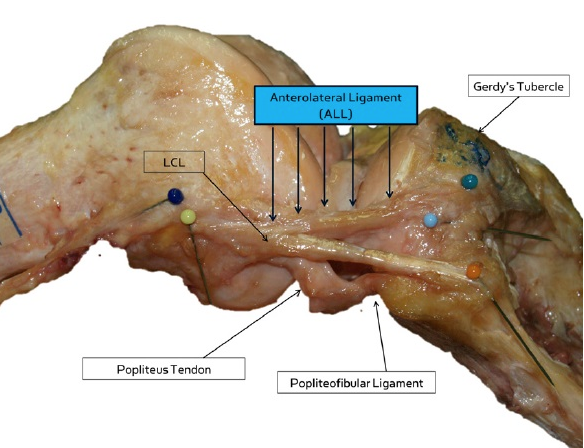 The existence of this ligament has been discussed as far back as 1879 by a French surgeon with the name of Segond.